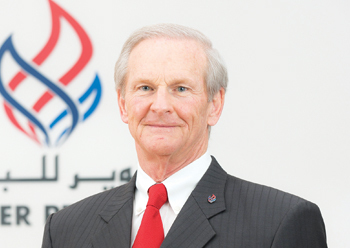 Tatweer Petroleum, Bahrain’s upstream operator created eight years ago to improve oil and gas production of the mature Bahrain Field, managed on an average 44,200 bpd of crude and condensate production in 2017, says James Kenneth Eastlack, CEO, Tatweer Petroleum. Total Khuff gas production averaged 1,410 million standard cubic feet per day (mmscfd), with a peak production rate of 1,780 mmscfd in August, Eastlack tells OGN in an exclusive interview. Some 66 new oil wells were successfully commissioned, which contributed to production stabilisation in 2017 he says adding that the total number of wells drilled since 2010 is 949. When Tatweer Petroleum assumed stewardship of the Bahrain Field, the kingdom’s oil production was at approximately 26,000 bpd. Since then, Tatweer has managed to increase production by 60 per cent of that rate. 'This is mainly due to the dedication and efforts of our employees, using the knowledge and expertise of our previous partners, implementing new technologies, and focusing on generating innovative ideas. We hope to continue to maintain, if not increase, production despite the monumental challenges we face, which include the dip in global oil prices,' he says. As part of Tatweer’s initiatives to improve oil production, a multidisciplinary team was formed in early 2016 to combine the efforts of Operations, Facilities, Subsurface, Production Engineering and Maintenance, Supply Chain and Executive Management. As a result, the team has carried out significant surface and subsurface improvements, including operations enhancement, identifying physical bottlenecks, review of underperforming wells, exploring new ways to identify and tackle wells issues, and continuously strive in accelerating other project works. Tatweer continues to invest in its pilot appraisals for thermal enhanced oil recovery in readiness for when oil prices recover. 'Our spending this year will be highly optimised in order to focus on the best opportunities to maximise the economic production of oil. Since the start of the oil price downturn at the end of 2014, we have successfully managed our programmes to reduce our costs of production and we are now among the lowest of the regional producers, to an extent that eases some of the pressure we face under this low oil price environment. Choosing the best development wells as well as dramatically scrutinising and improving the margin on each dollar we invest is essential,' he says. Eastlack says the most significant challenge Tatweer is facing continues to be the low oil price. In addition to that, it has a very complex set of 16 stacked reservoirs from extra-heavy oil near the surface to very light oil deeper down in the structure. Each reservoir has its own unique characteristics and requires different recovery techniques to be applied – they also require an enormous amount of hard engineering work to keep them performing. What have been the significant achievements of Tatweer during 2017? Tatweer Petroleum continues to invest in Bahrain’s local workforce and is dedicated to the development of Bahraini nationals through training and knowledge transfer. The company takes pride in the rise of its nationalisation rate to over 80 per cent in 2017. We also continue to focus on the health, safety and environment aspects of our operations. In 2017, we exceeded expectations set for the Safety Observation Cards programme, by reporting an average of 10 reports per employee, which surpassed our goal of 8 reports per employee. Additionally, Motor Vehicle Related Offences points were drastically reduced from 350 points (2016) to 74 points (2017). What was the average crude and condensate production during 2017? What was the total Khuff gas production during the year? Crude and condensate production averaged 44,200 bpd in 2017. Total Khuff gas production averaged 1,410 million standard cubic feet per day (mmscfd), with a peak production rate of 1,780 mmscfd in August. How many new wells were commissioned? What is the total number of wells drilled by Tatweer so far? Some 66 new oil wells were successfully commissioned, which contributed to production stabilisation in 2017. Total number of wells drilled since 2010: 949 wells. After over eight years of operation how much have you been able to improve production at the Bahrain Field? When Tatweer Petroleum assumed stewardship of the Bahrain Field, the kingdom’s oil production was at approximately 26,000 bpd. Since then, Tatweer has managed to increase production by 60 per cent of that rate. This is mainly due to the dedication and efforts of our employees, using the knowledge and expertise of our previous partners, implementing new technologies, and focusing on generating innovative ideas. We hope to continue to maintain, if not increase, production despite the monumental challenges we face, which include the dip in global oil prices. Have you achieved your output targets? If not, why? If yes, what were the factors that contributed towards the achievement? As part of Tatweer’s initiatives to improve oil production, a multidisciplinary team was formed in early 2016 to combine the efforts of Operations, Facilities, Subsurface, Production Engineering and Maintenance, Supply Chain and Executive Management. As a result, the team has carried out significant surface and subsurface improvements, including operations enhancement, identifying physical bottlenecks, review of underperforming wells, exploring new ways to identify and tackle wells issues, and continuously strive in accelerating other project works. Do you plan fresh capital injection to fast-track the field development? Tatweer continues to invest in its pilot appraisals for thermal enhanced oil recovery in readiness for when oil prices recover. Our spending this year will be highly optimised in order to focus on the best opportunities to maximise the economic production of oil. Since the start of the oil price downturn at the end of 2014, we have successfully managed our programmes to reduce our costs of production and we are now among the lowest of the regional producers, to an extent that eases some of the pressure we face under this low oil price environment. Choosing the best development wells as well as dramatically scrutinising and improving the margin on each dollar we invest is essential. What are the targets set by Tatweer for 2018? 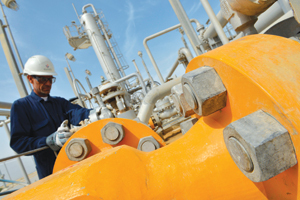 Tatweer Petroleum plans to continue its focus on optimising the ongoing Improved Oil Recovery schemes such as steam injection and artificial lifting techniques which have shown good potential to extract more difficult oil from the Bahrain field. We see our company as a leader in the development of mature fields in the area. We need to maintain production levels, while better understanding the economic potentials of our EOR pilot appraisals. What are the challenges that you face currently in your task of boosting output? How do you overcome them? The most significant challenge we are facing continues to be the low oil price. In addition to that, we have a very complex set of 16 stacked reservoirs from extra-heavy oil near the surface to very light oil deeper down in the structure. Each reservoir has its own unique characteristics and requires different recovery techniques to be applied – they also require an enormous amount of hard engineering work to keep them performing. But having said that, Tatweer has one of the strongest technical teams in the industry and we are very confident that once oil prices recover our teams will be ready and waiting with our expansion plans. What were the new construction projects undertaken during 2017? In 2017 Tatweer Petroleum commenced a number of projects with the aim to streamline operations and increase production. Work continues for the installation of a 500 mmscfd Gas Dehydration Unit (GDU) as part of the NAG Long Term Field Development (LTFD) project, with expected completion in 2018. A total of 2 cyclic steam wells were installed in 2017 as part of the West Steam Appraisal data collection programme. These facilities have provided the Subsurface department with additional thermal handling and testing capabilities as part of the Rubble thermal expansion. An additional 47 beam pump wells were connected to the 11 KV network, bringing the total number of phased-out Beam Pump rental diesel generators, which have been converted to permanent power, to 562 as of end of 2017. Last but not least, the control system upgrade was completed at 7 remote oil well manifolds in 2017 and the remaining 3 units will be commissioned by 2018. The project has achieved better surveillance and control from the Central Control Facility through fiber optic connectivity, thereby bringing the entire oil, water, and steam production into the high speed fibre optic network. What new technologies have you employed in 2017 to improve production at the Bahrain Field? How many more professional and skilled jobs have been added in 2017 as result of Tatweer’s operations? Tatweer Petroleum’s total headcount has increased during 2017. The company accepted 69 Petroleum Engineering & Exploration (PETEX) Division employees from Bapco on July 1, 2017. What is the Bahrainisation rate that you have achieved so far? Tatweer Petroleum’s nationalisation rate rose from 79 per cent to just over 80 per cent in 2017. How many hours of training do you plan to impart to the local workforce in 2018? In 2017, Tatweer delivered more than 43,000 man-hours of training and development to its employees in the form of developmental assignments and technical, business, and HSE training. In addition to this, our annual summer internship programme provided a two month work experience for 21 Bahraini students attending local and international universities. We also hosted nine students from Sheikh Nasser Vocational Technical Center for six weeks and another five students from Bahrain Bayan School for two weeks for experiential learning programmes. Furthermore, the company launched the Individual Development Plan (IDP) programme as part of its commitment to train and develop Bahraini employees in their respective fields of responsibility. With the IDP programme, we have been able to put in place personalised development plans for all eligible Bahraini employees. These plans were implemented in 2016 and continued in 2017. Progress relative to these plans is tracked throughout the year for each Bahraini employee to achieve agreed technical and other competency targets. How has Tatweer helped improve the economic prosperity of Bahrain? How does it align with the Kingdom’s Economic Vision 2030? Tatweer Petroleum continues to support Bahrain’s economic vision 2030 by transferring technology and skills to develop Bahrain’s workforce through focusing on the betterment of Bahraini nationals through extensive training programmes. A total of seventeen Bahraini nationals were promoted to leadership or higher level leadership positions in 2017 and leadership training will continue in 2018 to develop and better prepare Bahraini employees for future higher-level roles. How many local contractors have benefited from Tatweer? 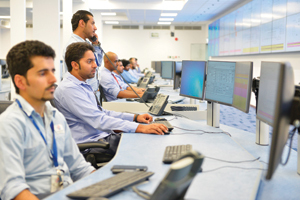 Currently Tatweer runs its business through over 1,000 contracts. Excluding services that can only be provided by companies outside of Bahrain, approximately 60 per cent of all contracts and purchases were awarded to Bahraini companies. What are Tatweer’s HSE goals and how they are going to be met? Tatweer Petroleum aims to provide a safe and injury free work place for its employees and contractors, and strives to continuously enhance its HSE programmes and initiatives to prevent and mitigate incidents involving people and the environment. We continuously strive to improve HSE programmes to ensure that operational risks are minimised, through a combination of implementing new initiatives and further enhancement of the existing HSE management systems. Considerable efforts and resources are always focused on improving HSE practices in the Bahrain Oil Field. The HSE Management Walk-Through programme, which involves Managers and Executive Management team members in planned visits to key facilities, was continued in 2017 and included a total of 15 visits to various facilities as well as high risk activity camps for contractors. In 2017, HSE leadership assessment and training were conducted for both Tatweer management and staff to further enhance the Company’s safety culture. This initiative will continue throughout 2018. During the year, the Tatweer HSE department expanded HSE awareness and technical training programmes to ensure that staff receive the correct level of training and to improve the safety culture of the organisation. In total, 12453 training man-hours was expended to train Tatweer staff. We also sponsored several HSE campaigns in 2017 related to hand safety and heat stress prevention. These and other programme improvements and topics were added to the Contractor HSE Forums to improve communication between Tatweer and its contractors. Other HSE Health related campaigns were also promoted including a Blood Donation drive, Breast Cancer Awareness, and Men’s Health. How many work hours have been achieved at the site? How many man-hours have been clocked without lost time accident (LTA) for contractors? Tatweer and its contractors worked over 8 million man-hours in 2017 and our contractors had ZERO Loss Time Injury (LTI).